Check out the latest Taste Club Snack Spoilers on My Subscription Addiction! 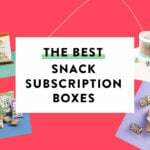 The Taste Club Snack, Sample, and Pantry Box May 2016 FULL SPOILERS + 50% Off! The Taste Club Snack Box April 2016 FULL SPOILERS + 50% Off!